Celeste FFA members were very active at the Houston Stock Show (HSLR) during the month of March. Jaycee Brown exhibited her commercial steers March 3-5. Jaycee has spent the last six months feeding and tending to three steers. She kept records and had to be able to calculate average daily gain and feed conversion statistics. During the Houston Livestock Show, she had to take a written test, go through interviews and turn in a record book. Compared to market animals that are haltered and worked with to perform in a showring, this competition is more like the real world. It mimics the feedlot operation. 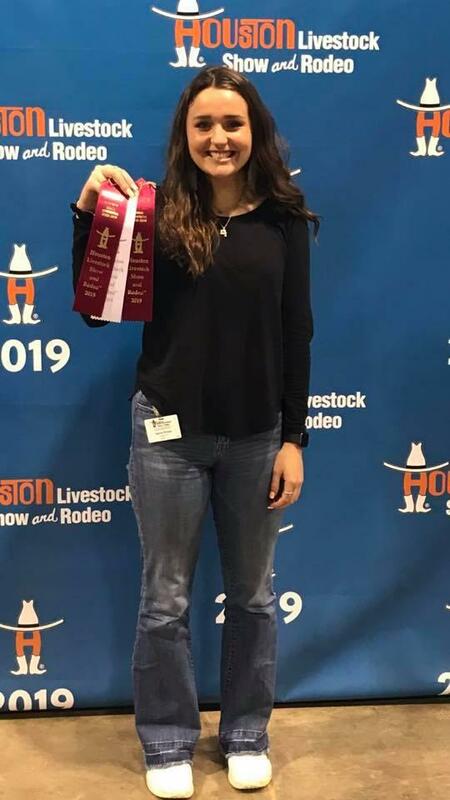 Congratulations to Jaycee for doing very well in this contest and meeting the requirements to sell her steers in the Houston premium auction. 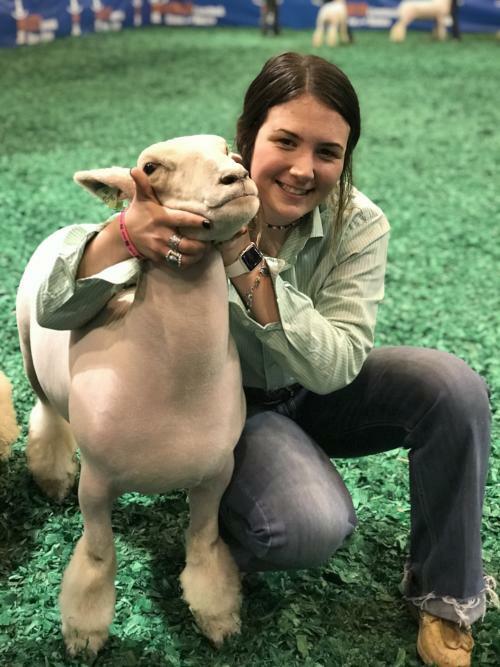 Kambrie Hougue exhibited her Southdown market lamb on March 6. There were 58 lambs in the class, and they sell the top 19 in the premium sale (auction). Kambrie placed 16th in a tough class of sheep and qualified for the auction. Well deserved for this hard working senior. 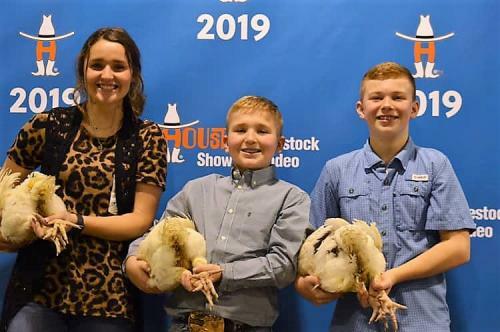 Koby Brown competed in the market broiler Show at the Houston Livestock Show. There were close to 400 pens in the show. Koby’s birds scored well on the initial sift and made it to the 4th and 5th call back. That means he was close to the top 100 but not high enough to qualify for the auction. Great job Koby! Justin Richey and Jaxson Dillard participated in the medium wool market sheep show. They both competed in tough classes of 80+. Although they didn’t place like they wanted, both young men had great major show seasons with their market sheep. 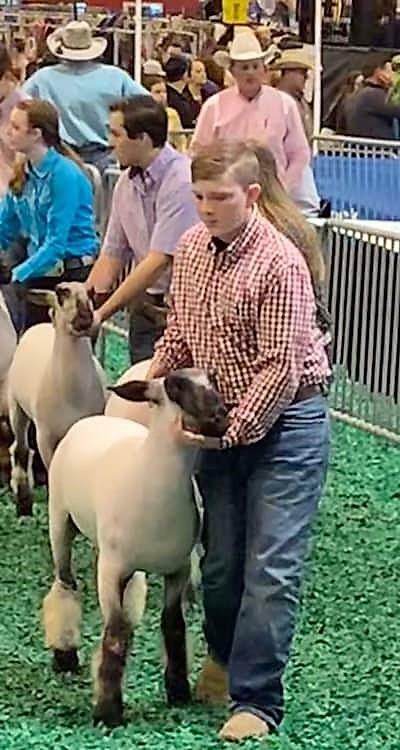 Celeste FFA member Jaxson Dillard had a busy week at the HLSR to wrap up major show season and being a senior, he wrapped up his major show career. 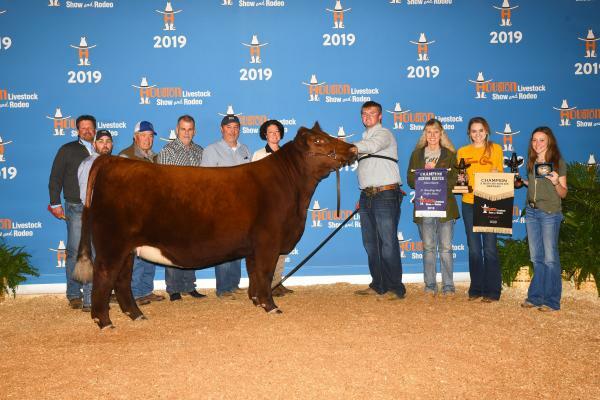 He showed his Shorthorn heifer on March 8 where he won his class, selected Grand Champion Senior Heifer, and then selected as Overall Grand Champion Shorthorn Female. 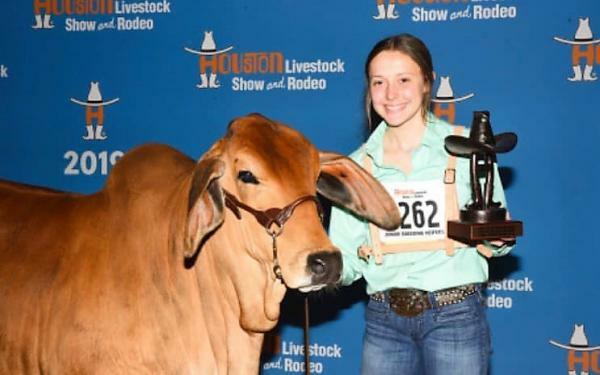 Raegan Sumrow showed her Red Brahman heifer on March 9 at the HLSR. She had a good day by placing 1st in her class. 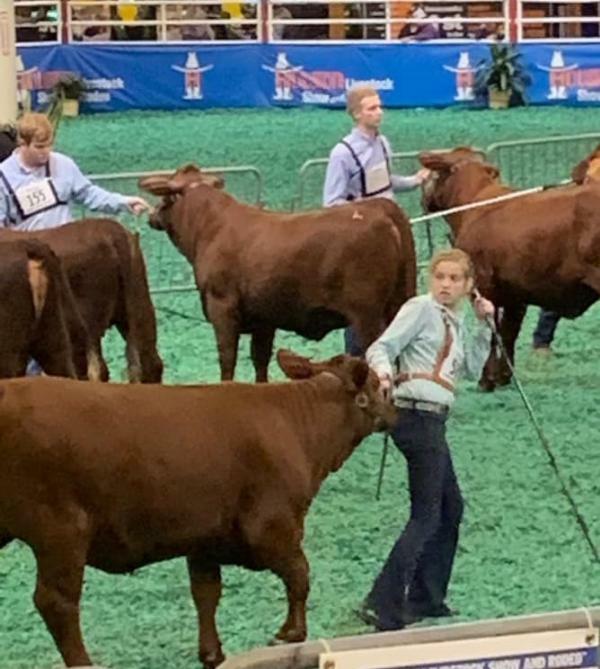 Madisyn Douglas participated in the junior heifer Santa Gertrudis show at the HLSR. She placed 5th with the pair. Congrats to Madisyn, Kaden, and 3WC Santa Gertrudis Madisyn also showed in the Open Santa Gertrudis Show. She placed well with her heifers and ended up 3rd overall in the Herdsman contest. Finishing up the Houston Livestock Show for the Celeste FFA was member James Blankenship. 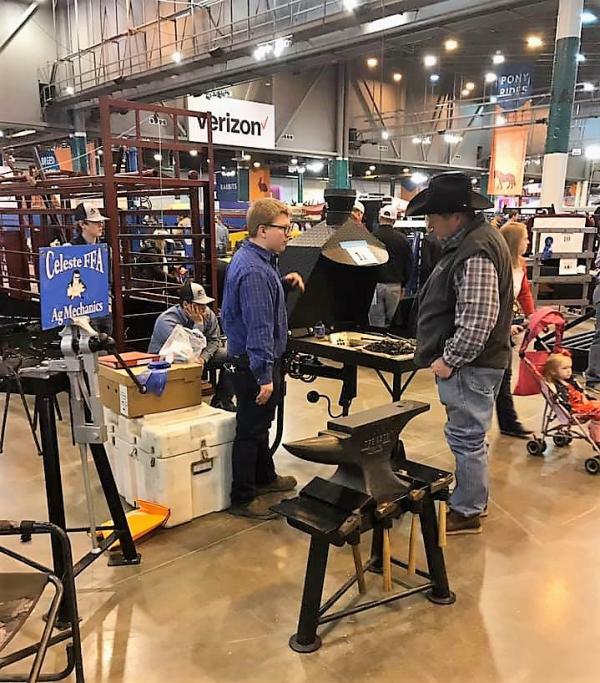 On March 16-17, he showed his blacksmith forge in the Ag Mechanics Show. He represented the Celeste FFA Ag Mechanic program very well throughout the major show season!